Fundraising events can be very enjoyable as well as a great means of contributing to a worthy cause. There are hundreds of events that might be attractive. If you are looking for ideas on what to organise why not get our list of ideas by going to our Fundraising Ideas page. 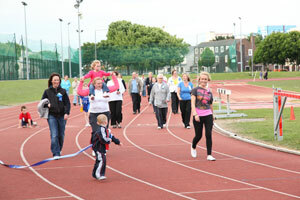 You could also look at the list on our partner site www.MyCharity.ie for ideas and to set up a sponsorship page. Remember you can nominate the cause you are fundraising for within St. Vincent’s. Do you want to consider running something like a concert or a dance for a cause within St. Vincent’s in your own area? If you want to promote an upcoming event for St. Vincent’s please let us know! Send us the details and we will add it to our list.